OSALL is the Organisation of South African Law Libraries – the national law library organisation of South Africa and was established in 1976. There are about 150 members from university libraries, bar associations, private law firms, the government sector, courts and publishing houses. Our head quarters are in Gauteng but we have members all over South Africa. We welcome membership applications from anyone interested in law librarianship. 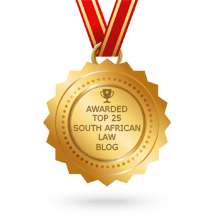 We aim to link and support everyone interested in law librarianship in South Africa. To enhance and develop the practice of law librarianship and provide opportunities for professional growth for law librarians and training for those who work with legal materials in libraries or information centres in South Africa. To this end we arrange meetings and workshops of a subject nature and on topics of professional interest. We have an affiliation with SLIS (Special Libraries and Information Services Group) and SAOUG (South African Online User Group) and share meetings, workshops and conferences with these two organisations which ensure a close relationship with other librarians and library bodies in South Africa. We also have informal links with various international law library associations such as BIALL, CALL, SLA, AALL and New Zealand. We have established a close working relationship with various legal publishers in South Africa as well as agents for overseas legal publishers. We issue a newsletter four times a year and a listserv to encourage the sharing of information.